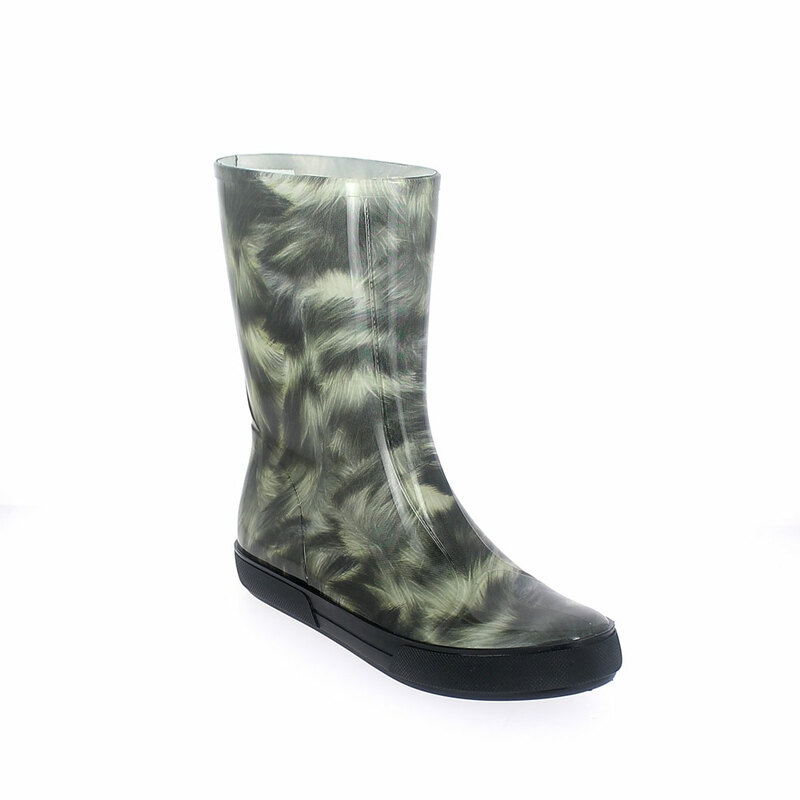 Transparent bright pvc Sneaker low boot with "cut and sewn" fantasy inner sock "Lapin verde" + Lettering. Made in Italy. 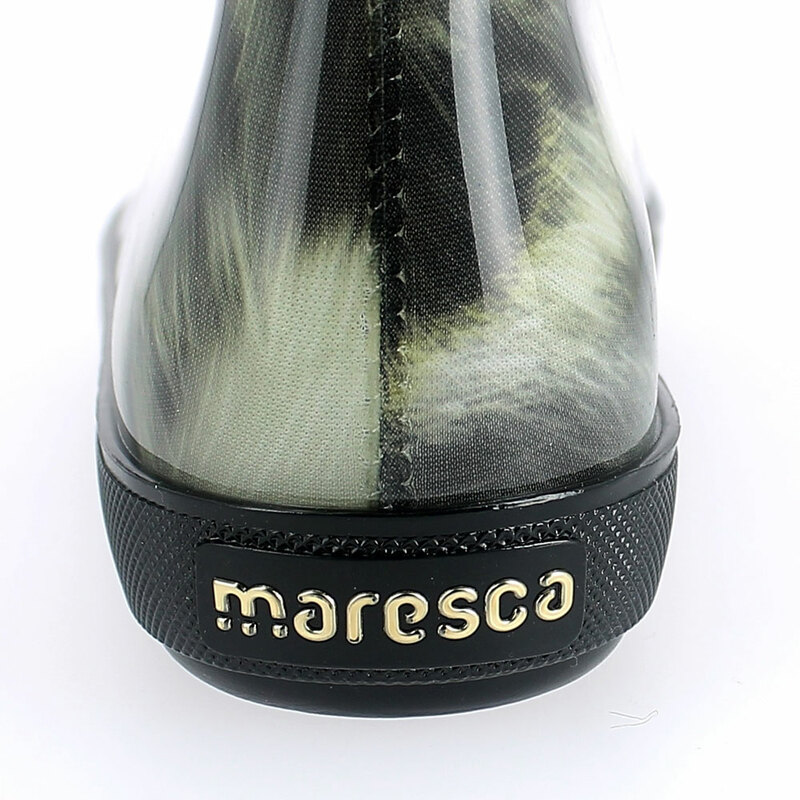 A Maresca logo is applied on the bootleg by the new "3D lettering" technique to give to the boot a finer look. Size run: 35-41.